These attempt to convey what a good pianist with an Imperial Model 290 can do. However, it will be impossible for speakers to accurately reproduce the Imperial piano and even the best digitized software can not convey what is experienced in the presence of the real instrument. These files are made available for personal use only. They can not be distributed without the express written permission of the performer and the host of this site. Files may be played/streamed through your Browser software, or can be downloaded for listening at your convenience. Listening with good headphones or custom fitted earphones will sound better than listening through computer speakers. Audio files are AAC files converted by Apple "iTunes" into MP3 compressed file format. While this results in some loss of fidelity these are compatible with any mp3 compatible devices and hand-held players including the Apple iPod. Platforms include: PCs, Windows, Macintosh, Linux/Unix and all platforms containing mp3 players. Files recorded on my piano were each recorded at a home performance live in one take, and with no editing. So the listener should appreciate the talent and poise of these pianists even more so. Sound Checking The Imperial Model 290 Stream/play the .mp3 audio file of Mr. Gerhard Feldmann of Bösendorfer New York checking out my piano during his servicing visit on 19 June 2003, and providing the sound check for Sound Recording Engineer Sound Engineer Mr. Chris Murphy of RHL Audio. The three of us are heard briefly on this track discussing the piano prior to one of my house parties. This clip is included because it permits one to hear how beautifully Mr. Feldmann plays and how the piano sounds even informally when he is casually checking the instrument. Although many of his clients may not be there when Mr. Feldmann visits, I enjoy attending his service visits (aside from his friendship) to hear him play. Length: 5 minutes 30 seconds ◊ File format: Audio MP3 (MPEG-1 Layer-3) ◊ Bit Rate: 320 kbps stereo ◊ Sample Rate: 44.10 kHz ◊ File Size: 12.6 megabytes. "Chopin Op. 28, No. 20 Prelude in C minor" Stream/play the .mp3 audio one of the more classic compositions, and how only the bell like qualities of the Bösendorfer can convey the depths of the bass chords as well as the delicacy when desired, of all notes throughout its range. Performed on the Imperial Model 290 by Byron W. Petty flutist, pianist, composer and conductor. Recorded live 19 June 2003 at a casual home gathering. Length: 1 minutes 49 seconds ◊ File format: Audio MP3 (MPEG-1 Layer-3) ◊ Bit Rate: 320 kbps stereo ◊ Sample Rate: 44.10 kHz ◊ File Size: 4.2 megabytes. "As Time Goes By" Stream/play the .mp3 audio a popular composition of 1931 by Herman Hupfeld. Performed on the Imperial Model 290 by Byron W. Petty. Recorded live 19 June 2003 at a casual home gathering. Length: 2 minutes 24 seconds ◊ File format: Audio MP3 (MPEG-1 Layer-3) ◊ Bit Rate: 320 kbps stereo ◊ Sample Rate: 44.10 kHz ◊ File Size: 5.6 megabytes. Viennese Waltz, #2 from a set of six waltzes written by Ignaz Friedman (1882-1948), a Polish child prodigy pianist and composer, entitled Six Viennese Waltzes on Themes from Gaertner (Eduard Gaertner). The author of this site thanks R. D. Pratt for identifying this for us. Furthermore, Mr. Pratt (a pianist who graduated form a Conservatory of Music) commented "Mr. Borge plays this type of music in the grand style of the past which is unattainable by almost all of today's pianists. It requires a flare and abandon that cannot be "taught". Stream/play the .mp3 audio this was performed on a Imperial Model 290 by Victor Borge (1909-2000) at a live performance while he was in his 80's. While this was not performed on my own Imperial 290, this is included here since it was Mr. Borge who first inspired me to consider the Bösendorfer for myself. Note the recording quality is fair since most of Borge's performances were mic'd only for his voice to be heard by the audience, and not well placed for the piano since the Imperial piano could fill the venue on its own. The modest tape hiss is from the analog source. Length: 3 minutes 23 seconds ◊ File format: Audio MP3 (MPEG-1 Layer-3) ◊ Bit Rate: 320 kbps stereo ◊ Sample Rate: 44.10 kHz ◊ File Size: 7.8 megabytes. Kinderszenen Op. 15 - Träumerei (show closing) Stream/play the .mp3 audio of Victor Borge (1909-2000) performing this on a Imperial Model 290 as he typically did when closing his live performances. This recalls my vivid memory of attending Mr. Borge's live show. Composition by Robert Schumann (1810-1856). This was recorded while he was in his 80's. While this was not performed on my own Imperial 290, this is included here since it was Mr. Borge who first inspired me to consider the Bösendorfer for myself. Note the recording quality is fair since most of Borge's performances were mic'd only for his voice to be heard by the audience, and not well placed for the piano since the Imperial piano could fill the venue on its own. The modest tape hiss is from the analog source. Length: 2 minutes 02.8 seconds ◊ File format: Audio MP3 (MPEG-1 Layer-3) ◊ Bit Rate: 320 kbps stereo ◊ Sample Rate: 44.10 kHz ◊ File Size: 4.7 megabytes. 31 mb Video Clip of Kinderszenen Op. 15 - Träumerei (show closing) Stream/play the .mpeg film video clip of Victor Borge (1909-2000) performing this on a Imperial Model 290 as he closed his live performances. Composition by Robert Schumann (1810-1856). This shows Mr. Borge in 1990 when he was 81 years young, and this is also available on this page as a smaller streaming audio clip listed above. Length: 2 minutes 02.8 seconds ◊ File format: Video 320 x 240 MPEG-4 Video/AAC Audio ◊ Bit Rate: 2098.8 kbits/sec ◊ Audio Sample Rate: 44.10 kHz ◊ File Size: 30.7 megabytes. 16mb Video Clip of Kinderszenen Op. 15 - Träumerei (show closing) Stream/play a smaller version (176 x 144) of the above .mpeg film video clip (16.34 megabytes). "Claire De Lune" Stream/play the .mp3 audio the popular composition by Claude Debussy (1862-1918). Performed live on a Imperial Model 290 by Victor Borge (1909-2000). While this was not performed on my own Imperial 290, it is included here out of my admiration for Mr. Borge who first inspired me to consider the Bösendorfer for myself. Note the recording quality is fair since most of Borge's performances were mic'd only for his voice to be heard by the audience, and not well placed for the piano since the Imperial piano could fill the venue on its own. The modest tape hiss is from the analog source. Length: 3 minutes 25 seconds ◊ File format: Audio MP3 (MPEG-1 Layer-3) ◊ Bit Rate: 320 kbps* stereo ◊ Sample Rate: 44.10 kHz ◊ File Size: 7.9 megabytes. * stored here at 320 kbps, the original file was probably upconverted from 128 kbps. "Prokofiev Sonta No. 1 in F Minor, Op. 1" Stream/play the .mp3 audio the popular 1909 composition by Sergei Prokofiev (1891-1953). 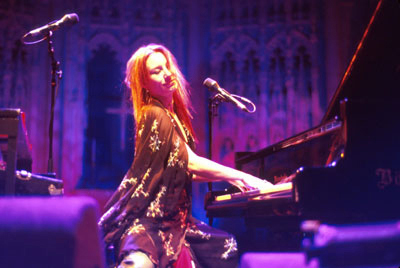 Performed by pianist Lura M. Johnson-Lee with the Bösendorfer Imperial piano at my home gathering of 9 September 2006. It was the first opportunity to record with my new DPA Reference Series microphones. Length: 7 minutes 46 seconds ◊ File format: Audio MP3 (MPEG-1 Layer-3) ◊ Bit Rate: 320 kbps stereo ◊ Sample Rate: 44.10 kHz ◊ File Size: 17.8 megabytes. "Claire De Lune" Stream/play the .mp3 audio the popular composition by Claude Debussy (1862-1918). Performed by pianist Lura M. Johnson-Lee with the Bösendorfer Imperial piano at my home gathering of 9 September 2006. Another masterful interpretation of the classic - even on short notice, but with more state of the art digital recording. If this were the last music I ever heard then I could go quite happy. Length: 5 minutes 57 seconds ◊ File format: Audio MP3 (MPEG-1 Layer-3) ◊ Bit Rate: 320 kbps stereo ◊ Sample Rate: 44.10 kHz ◊ File Size: 13.7 megabytes. "Rachmaninov Op. 3 Prelude No. 2 in C Sharp Minor" Stream/play the .mp3 audio this composition by Sergei Vasilievich Rachmaninov (1873-1943). Learned on short notice at my request and performed by pianist Sidney Yin with the Bösendorfer Imperial piano at the start of his performance at my home gathering of 26 May 2007; Mr. Yin did not break this audience in gently. What else can one say to hearing this performed live in their home on the occasion of their Birthday? Length: 3 minutes 39 seconds ◊ File format: Audio MP3 (MPEG-1 Layer-3) ◊ Bit Rate: 320 kbps stereo ◊ Sample Rate: 44.10 kHz ◊ File Size: 8.4 megabytes. "Chopin Impromptu No. 1 in Ab Minor" Stream/play the .mp3 audio this composition by Frèdèric Chopin (1810-1849). Performed by pianist Sidney Yin with the Bösendorfer Imperial piano at my home gathering of 26 May 2007. This well demonstrates the expressiveness of the piano, from the light touch of the treble to the assertive and at times almost bell like qualities of the bass. Length: 4 minutes 6 seconds ◊ File format: Audio MP3 (MPEG-1 Layer-3) ◊ Bit Rate: 320 kbps stereo ◊ Sample Rate: 44.10 kHz ◊ File Size: 9.5 megabytes. "Beethoven Moonlight Sonata - 1st Movement" Stream/play the .mp3 audio this popular composition by Ludwig van Beethoven (1770-1827). Performed by pianist Sidney Yin with the Bösendorfer Imperial piano at my home gathering of 26 May 2007. Notice how the dissonant chords take on an almost Church Bell and Organ like qualities by means of the piano's capacity to sustain and project with clarity. Length: 6 minutes 38 seconds ◊ File format: Audio MP3 (MPEG-1 Layer-3) ◊ Bit Rate: 320 kbps stereo ◊ Sample Rate: 44.10 kHz ◊ File Size: 15.2 megabytes. "Schubert Sonata in C Minor, 1st Movement" Stream/play the .mp3 audio the composition by Franz Peter Schubert (1797-1828). Performed by pianist Sidney Yin with the Bösendorfer Imperial piano at my home gathering of 26 May 2007. Worth every byte of the 18.8 megabyte file size! Length: 7 minutes 51 seconds ◊ File format: Audio MP3 (MPEG-1 Layer-3) ◊ Bit Rate: 320 kbps stereo ◊ Sample Rate: 44.10 kHz ◊ File Size: 18.8 megabytes. "Schumann Kinderszenen Op. 15 - Träumerei" Stream/play the .mp3 audio this popular composition by Robert Schumann (1810-1856). Performed by pianist Sidney Yin with the Bösendorfer Imperial piano at my home gathering of 26 May 2007. Even though we have files of this performed by Mr. Borge above, I decided to include this to show the sensitivity of the pianist, while taking advantage of the technologies I have now to obtain the better quality recording. It was wonderful to hear Mr. Yin comment to the audience that he played the song so much more slowly than his usual tempo because he too was so enjoying the music coming from this piano; hear his comments in the audio track below. Length: 3 minutes 8 seconds ◊ File format: Audio MP3 (MPEG-1 Layer-3) ◊ Bit Rate: 320 kbps stereo ◊ Sample Rate: 44.10 kHz ◊ File Size: 7.2 megabytes. "Comments by Sidney Yin about playing Kinderszenen (above) on the Bösendorfer Imperial" Stream/play the .mp3 audio comments made by pianist Sidney Yin about playing the Bösendorfer Imperial piano. Recorded at my home gathering of 26 May 2007. Length: 17 seconds ◊ File format: Audio MP4 ◊ Bit Rate: 320 kbps stereo ◊ Sample Rate: 44.10 kHz ◊ File Size: 276 kbytes. Contact the owner of this piano.